In 2012 and 2014, The Nature Conservamcy (TNC) contracted Niswander Environmental to control, inventory and map the treatment of approximately 800 acres of invasive common reed (Phragmites) along the shores of Lake Erie in Monroe and Wayne Counties on a combination of public and private lands on 15 sites. The wetlands adjacent to Lake Erie have been identified by TNC as especially important yet impaired due to the negative impacts Phragmites has caused to fish and wildlife habitat and, as well as, local recreation opportunities. Niswander Environmental treated the stands of invasive vegetation with an aquatic-safe combination of herbicides designed to systemically suppress the Phragmites. 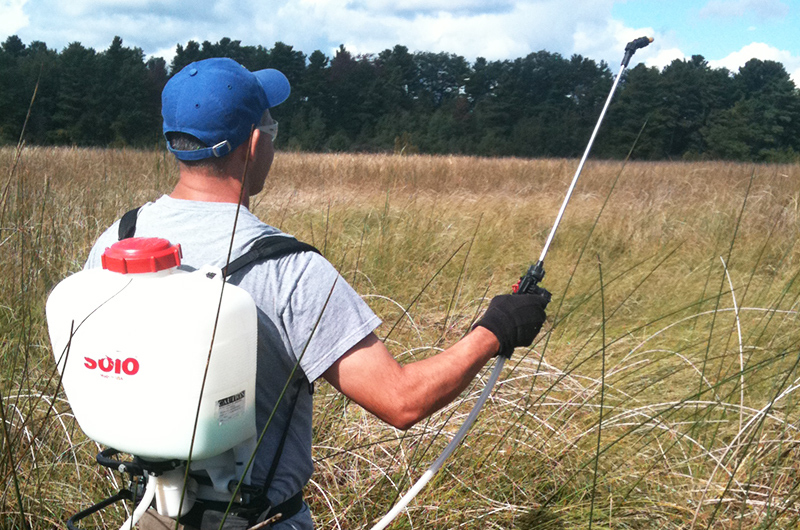 The work was accomplished by applying herbicides using ground-based application techniques which included a combination of foliar spraying and hand-swiping herbicide onto individual plants. The application methods depended largely upon the size and density of the stands. For example, off-road vehicles such as Argos with mounted 60 gallon spray tanks or an ATV with a mounted 30 gallon spray tank were utilized for large, dense monoculture stands with simple access, whereas backpacks and hand swiping were necessary for small treatment areas with limited access. Niswander Environmental provided TNC with detailed maps and GIS files of all treated areas upon completion of the project for future management efforts.